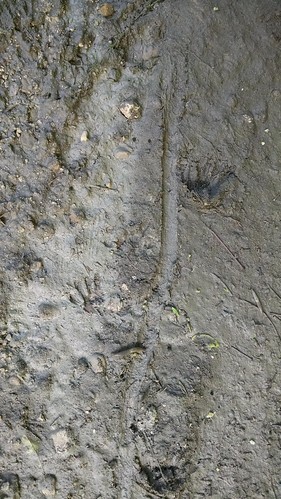 All the tracks in the mud! How fun. They have feet kind of like a racoon or a possum.